This year I set myself a little project to see if I could use some of the tools and platforms provided in Office 365 to create something mildly useful. I wanted to start with something basic and achievable without having to spend months and months of trial and error experiments and thought that Phone Number management could be that starter project. I will preface this blog by stating that there are already various number management solutions out there, some paid and some free and this hasn’t been created to compete with them. It is a project that enables me to learn and develop new skills but also has some use cases that may benefit you, hence the reason for sharing. Often when I speak with customers and ask them about their number management solution, they invariably say Excel. They’d like to move towards a more suitable product but those offering these solutions are sometimes out of reach of the budget available. Using a basic Excel sheet has it’s own problems, but mainly keeping the thing up to date with all adds, moves and changes. So I thought there must be a way to leverage what is available in just an E1 Office 365 licence to create a middle ground. Something in between Excel and the paid apps must surely be possible? So I looked at Lists in SharePoint Online. This seemed the logical choice in the Office 365 product suite to use a my “database” as it where. Out of the box it had a lot of built in features that meant I could save time by not having to create user interfaces, search filters and different views. It also acts like Excel so that you can easily update multiple records in-line and provide a single pane of glass experience without having to install any software on to a bunch of admin workstations. However, a SharePoint List on it’s own is probably no better than that Excel sheet stored on a file share somewhere. It needed a way in which admins can interact with it and easily use in day to day tasks. More importantly it needed a way to talk to Skype for Business to ensure that the list kept was the single, undisputed source of truth. What it needed was a PowerShell Module to bridge the gap between SharePoint Online and Skype for Business. I then found that the SharePoint Online Management Shell allowed management of tasks, but offered no way to interact or manipulate the data held within SharePoint. I quickly learned that in order for me to manipulate data I needed to use the Client Side Object Model (CSOM) for SharePoint Online. I thought all my birthdays had come at once with this module, until I found some limitations to some of the functions I was using. Mainly these where down to the size of the data being extracted from SharePoint Online in order to return my custom list fields, and the dreaded 5,000 item view limit of SharePoint Online! So I had to customise it slightly to allow me to continue as it worked really well for 5,000 phone numbers but failed miserably with 5,001! Having overcome this, the theoretical maximum this can handle if somewhere in the region of 50,000,000 (Yes, 50 million) phone numbers. I am pretty sure right now, you don’t want a life story of development, but rather want to know what does this thing do, right? Firstly, this works for Skype for Business On-Prem and Skype for Business Online (Cloud PBX) so you’re covered in all three states (On-Prem, Hybrid and Cloud Only). Whether you run Skype for Business Server or Cloud PBX or Both you can synchronize numbers from these systems into the Phone Inventory List. All Cloud PBX numbers will be synchronized whether they are subscriber or service numbers. If they are assigned to a service or user, then this information is passed back to the list so that it immediately understands the allocation landscape. The same for On-Prem, synchronization happens and retrieves all used numbers within the ecosystem for users, conference, RGS, Trusted Applications etc etc. Again passing back their assignments. For On-Prem numbers it can be hard sometimes to gather a list of cities, countries and even carriers each phone number relates to. If you don’t have this information to hand, then the task of finding this out can be arduous. Therefore, there is integration with the numverify api (https://numverify.com/) which will search for this information and retrieve it automatically when you synchronize or import your numbers. The API is free to use (up to a max of 250 calls per month) and requires you to sign up for an account for your own personal API key. The PowerShell module is the beating heart of all this. There are several commandlets that give admins the power to allocate numbers to users individually or in bulk as well as allow you to reserve a number or a block of numbers so that they cannot be used unless specifically chosen. This is useful for planning projects that require a bank of numbers to be allocated but not yet assigned in Skype for Business. There are also commandlets that allow you to import numbers from a CSV, or just by stating the start number and how many numbers in sequence you want to add. If you want to produce graphs on consumed numbers per area, per usage, per site etc. 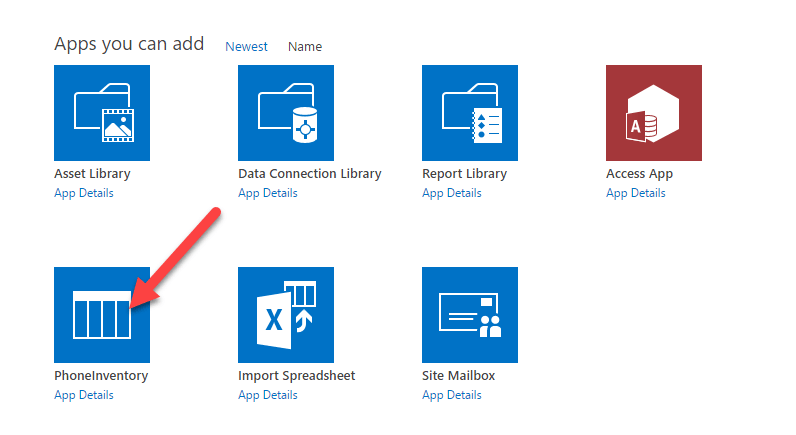 This can all be done in PowerBI with a live data connection to the SharePoint list. PowerBI free is sufficient, but you will need the PowerBI desktop app to create the data connection. Want to be able to quickly reserve or assign a number to a user? Maybe add one that you forgot whilst on the train home? No problem, easily create a mobile app using PowerApps and you can manage your DDIs wherever you are. You must use this command at the beginning of each session to establish a connected session to SharePoint Online, Cloud PBX and Skype for Business Server. The command accepts four mandatory parameters. 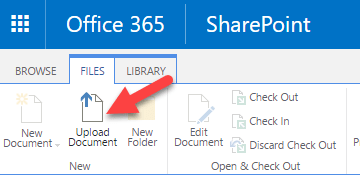 When connection has been established, a full copy of the SharePoint List will be downloaded into memory to enable faster access to the subsequent commands used in the session. Please be aware that as the list grows, the longer it will take to download the list. Estimate performance to be around one minute per 5,000 numbers. This command you can use to update your local cache based on the data held on SharePoint. This is useful in case the local cache becomes inconsistent, or something happens where the cache is lost. This command accepts no parameters. This command gets the next available number(s) from the pool in which you specify. When executed, this command will put a “soft” reserve on the numbers returned. This allows you to assign numbers to bulk users in your scripts without having to synchronize with SharePoint after each one. Please be aware that after you have finished using this command you should perform a Sync-Cache to return an accurate copy of the list if no changes have been made in Skype for Business / Cloud PBX. If there have been, a full Skype for SharePoint synchronization is required. Get the next 10 numbers available in the town called Crewe where the Carrier is BT and the Number is a Subscriber. This command returns all the available numbers in the pool in which you specify. This command returns a count of all the available numbers in the pool in which you specify. This command allows you to reserve numbers in ranges from 1 to unlimited, or by number type and how many based on area. This command allows you to count how many numbers are reserved but not assigned yet in the pool in which you specify. This is useful for identifying number that require scavenging / recycling back into the available pool. This command is used to release reserved numbers that will not be allocated to a user or service back into the available pool. This command gathers all the allocated numbers within Skype for Business Server and uploads them to the SharePoint List. This command also updates the assignments to users and other services that may use numbers. It is recommended that you create a schedule task to run this command at least once per day during quiet times to ensure that the list remains current and up to date. Use parameters only if you want to synchronize a sub portion of numbers based on type. This command allows you to export the data from the SharePoint list to a CSV. The default behaviour is to export from the current data held in memory. This command allows you to add sequential number blocks to SharePoint without a CSV. If you don’t know the area, country or carrier of the numbers, then you can use numverify to retrieve these. If no results found, or numverify not enabled, then “unknown” will be entered in missed fields. This command return the next available number(s) from Cloud PBX that have been acquired by your tenant. Please note that this command places a “soft” reserve on returned numbers so it an be used in a script. Please ensure that you run Sync-MyOnlineNumber command once finished to update the cache. This command reserves Cloud PBX numbers in the list so they cannot be allocated. This command releases any reserved but not allocated numbers in the list that are Cloud PBX numbers. To enable numverify integration, go to C:\users\<your name>\documents\windowspowershell\modules\phoneinventory and open PhoneInventory.psm1. Around Line 13 you will see a variable $numverify that is commented out. Uncomment this variable and replace <your-key> with the API key given to you by numverify. Save the file and reload any open PowerShell windows. This is currently in BETA. There may be bugs or features missing. If you come across any, please use the comment section below and I will work with you to get a stable release in the coming weeks / months. Very nice, thanks for this, may find a use for it at some point. I have just checked and am able to download it. If you send me your email, I will mail it. There is an error in PhoneInventory.psm1 . You are missing commas from the first two function parameters in the “connect” function. The module will not load unless these are corrected.